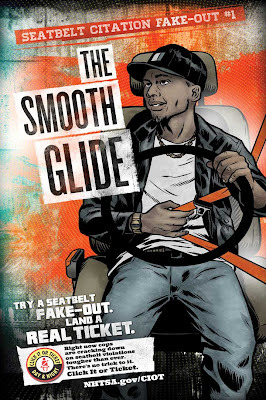 RICHARD SOLOMON ARTISTS REPRESENTATIVE: Niklas Asker Warns: Wear Your Seatbelt! 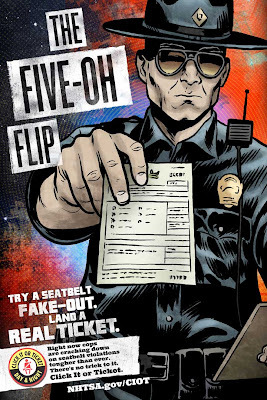 Illustrator Niklas Asker was commissioned to create artwork for the Nation-wide "Click It or Ticket" campaign that would be used on their posters, facebook icons, and computer wallpapers. 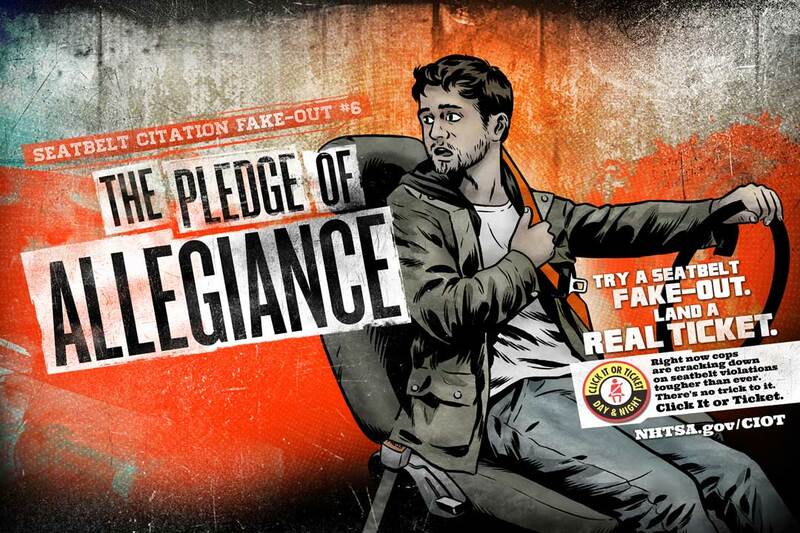 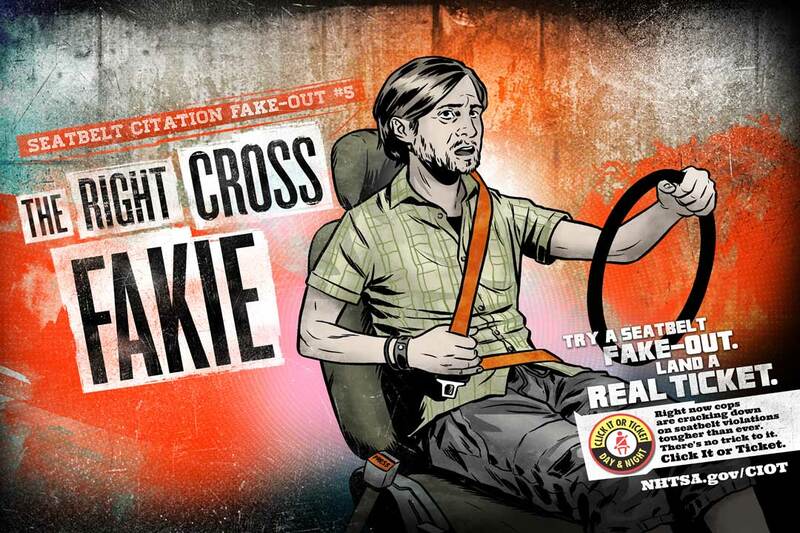 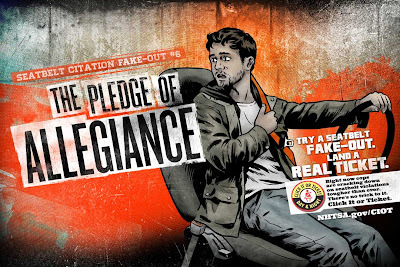 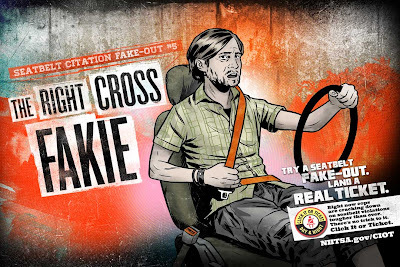 Each images features a different way wearing a seatbelt can be faked and how easily it can be spotted by the police. To get involved, go to the NHTSA website here.